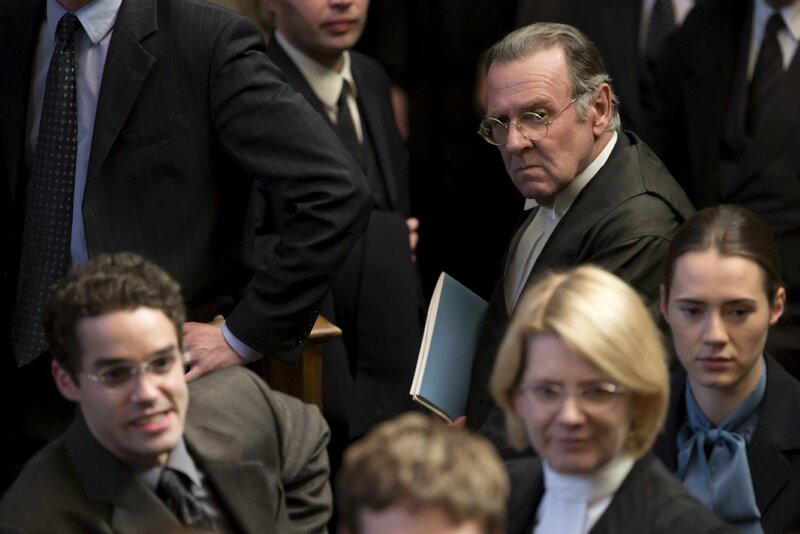 Courtroom drama -- from Witness for the Prosecution and Twelve Angry Men onward (and probably backward, too) -- so often deal with murder and retribution that when one such as DENIAL turns out to be all about a libel suit, the excitement level may appear to be rather low. 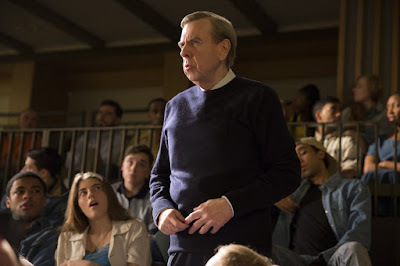 Of course, if you count the approximately six million murdered during the Holocaust -- an event which the movie's antagonist (played with relish-y perfection by Timothy Spall, shown at left on poster, right, and two photos below) insists never happened, then that level gets a good goosing upwards. 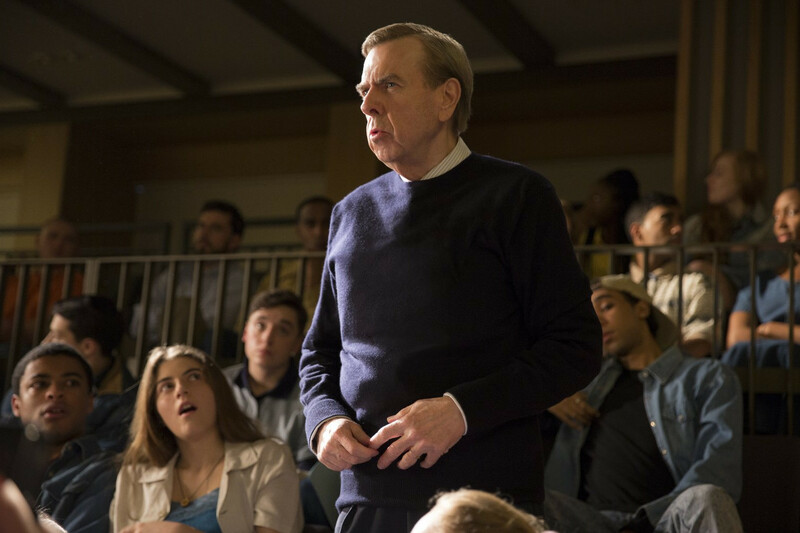 When that movie also happens to have been written extremely well by David Hare and directed most efficiently by Mick Jackson (shown at left), the results are riveting. 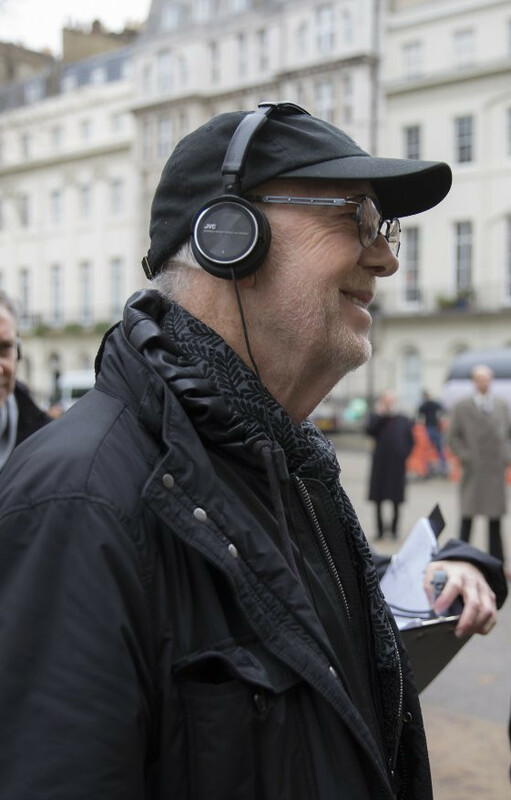 Mr Hare, one of Britain's finer living screenwriters and playwrights, has based his screenplay on an actual case tried in the British courts and brought by would-be historian David Irving against American historian, author and teacher Deborah Lipstadt, who in one of her books called Irving (among other things) a "Holocaust denier." He is all that and more (much less, actually). Because Mr. Irving brought his suit against Ms Lipstadt and her British publisher in London, it must be tried according to British law, so for relatively sophisticated American audiences, at least, this will give the movie added interest and surprise. 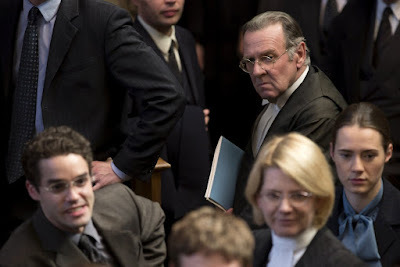 What is and is not allowed, and what this means to the defense and prosecution, make the film consistently interesting, and Mr. Hare has provided just enough of the personal and the detailed to keep us caring about all the protagonists without ever descending into the crass or melodramatic. 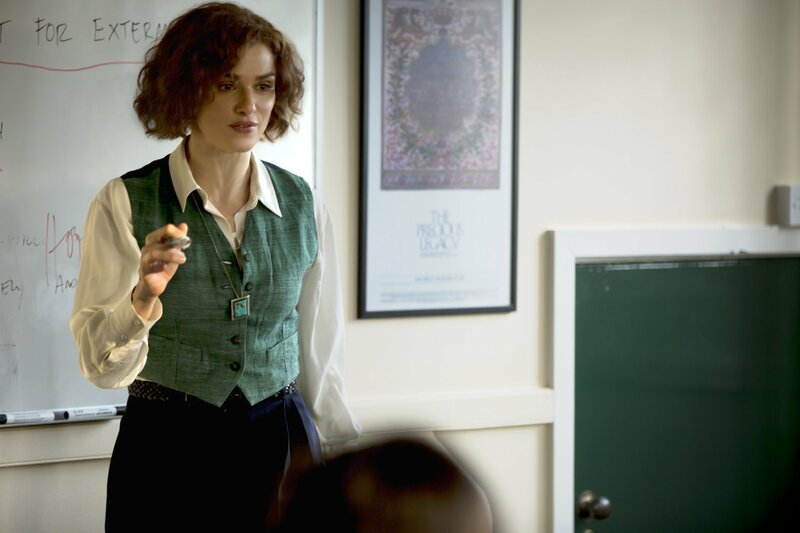 Playing Ms Lipstadt is that fine actress Rachel Weisz (above), who brings out her character's strength, sass and intelligence supremely well. Weisz makes us understand and appreciate Lipstadt's refusal to ever engage in debate with any Holocaust denier. Really: Would we also waste time debating with someone who insisted the earth is flat? She will however call these people out on their poorly perceived "facts." 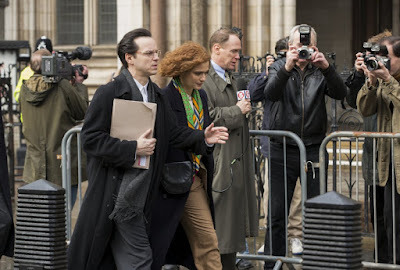 Her two British attorney's -- one who does the behind-the-scenes work, played with stern but amused rigor by the increasingly versatile Andrew Scott (below and to the left of Ms Weisz); the other, who appears in court to do the fancy footwork necessary but also does his homework regarding background, played with great depth by the grand and capacious actor Tom Wilkinson (above) -- work hard to keep Lipstadt in check. She wants to testify, and she wants Holocaust victims to testify, too (as do they themselves). 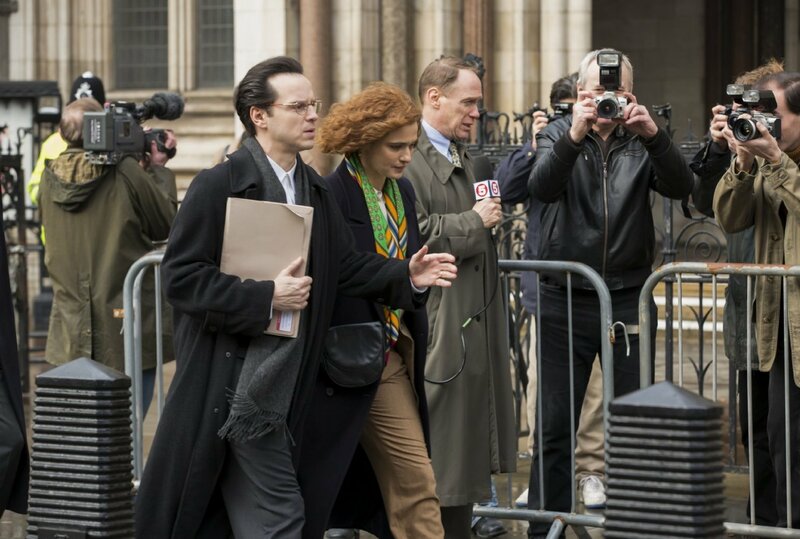 As do we, initially, but one of the movie's strengths is how well it finally convinces us that this would not only be unnecessary but damaging to this particular case. 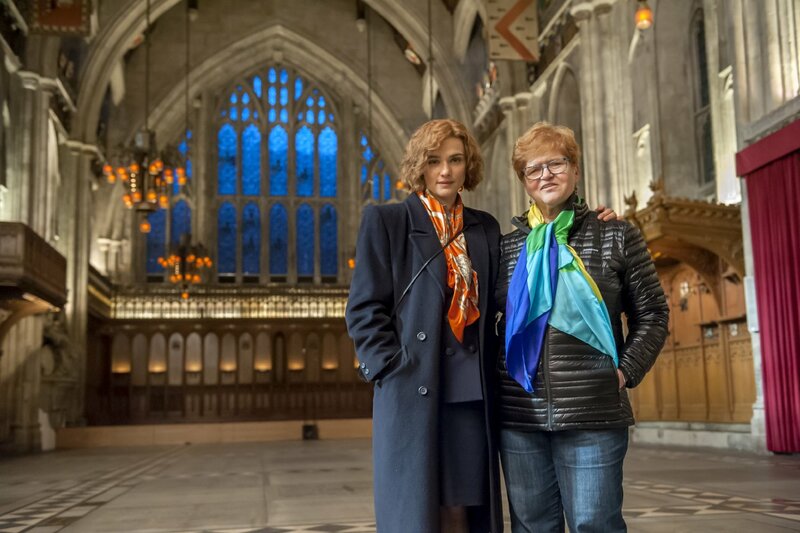 If you followed Lipstadt's career (that's she, below, with Ms Weisz) and/or the somewhat famous trial, you'll know the outcome here. Even so, the film succeeds, scene by scene, in keeping us glued. It also calls attention to the ever increasing times that our world is confronted with Holocaust deniers. In the words of a certain famous bread commercial, "You don't have to be Jewish..." to find this denial offensive, stupid and utterly reprehensible. 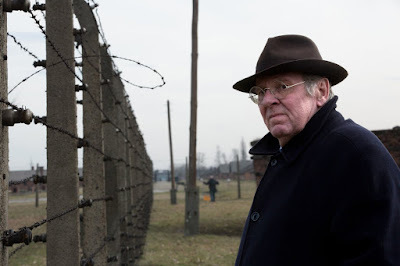 As the Holocaust recedes in history and memory, we'll need consistent reminding to keep much of the world -- from Islamic states to the Neo-Nazis -- from either deliberately "forgetting" or twisting history to its own ends. Movies like this one provide that reminder, and they do it damned well. 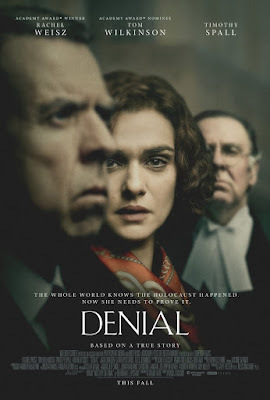 From Bleecker Street and running 110 minutes, Denial -- after opening earlier in New York and Los Angeles, hits theaters in South Florida tomorrow, Friday, October 14. Here in Boca Raton, it plays the Regal Shadowood 16 and the Cinemark Palace 20. Next Friday, the film expands to many more cities across the country. Click here then scroll down to find the theater and playdate nearest you.